I see so many people on the WordPress Mojo Theme Market asking questions on the support forum and I can only imagine the frustration they are going through. Two major red flags that they are in for much more than they bargained for are the issues installing the theme and asking why they paid 150.00 to have the website look like the one in the demo. The demo content installed in a WordPress theme can be more problems editing than building from scratch. I am going to guess that most of them give up and hire a designer, or just trash the idea. Last result, just end up with a site that does not utilize any of the premium features the theme has to offer. 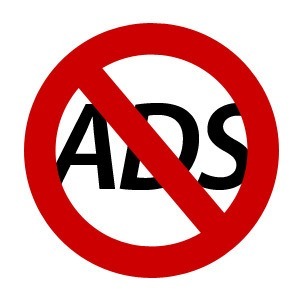 Remove Free Ads from Website buy WordPress specific website hosting. inexpensive hosting plan, it’s probably not worth having or you just do not understand the value of a well designed website that will increase your business. Imagine someone who came to your website for your specific field of business and the page is filled with ads. Sometimes you cannot tell the ads from the website. But the site they just came from that your competitor had was off the charts. You have just devaluated your own business and company image. The free hosting with all the ads probably did you more harm than good. I remember many years ago looking at a website from a company that wanted to design a DVD sleeve for me. The site looked like a 5 year old built it. How would I ever dream of allowing them to design a DVD sleeve when they cannot design their own website. If your site is not brining inquiries, there is something wrong with the design and ability to engage the user. Unless of course the website search rankings are so poor no one can find it. That is another issue in itself and plays a very important role in the entire process.